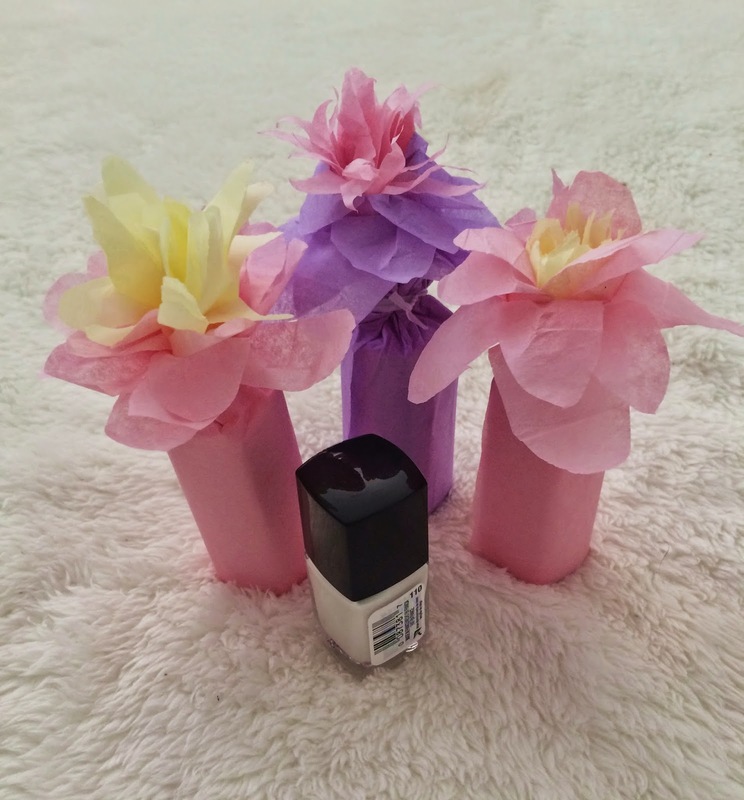 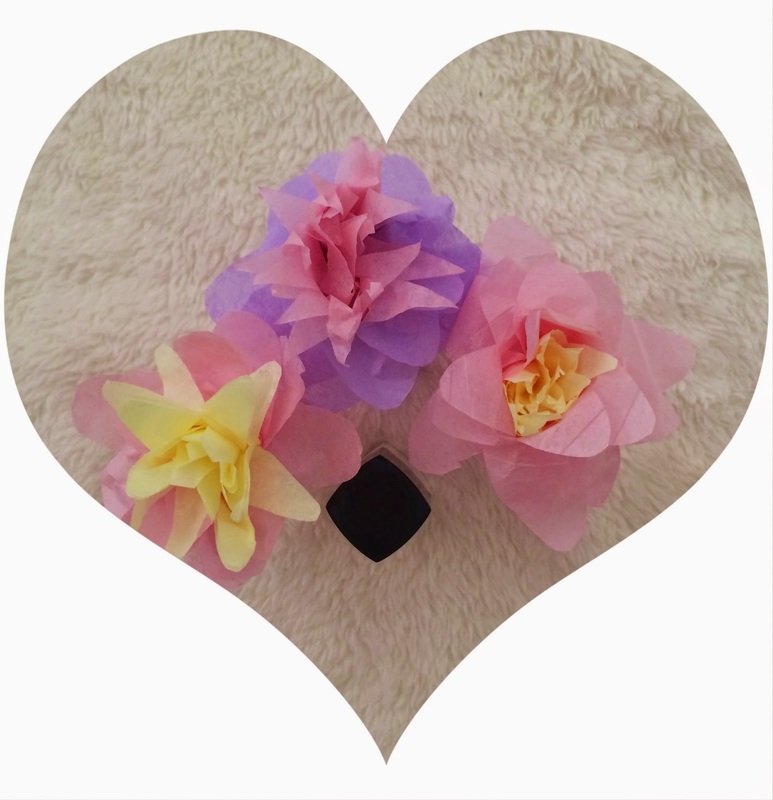 To make this beautiful nail polish bouquet, you'll need nail polish, tissue papers (mine is from local Dollar Store), twist ties and a pair of scissors. 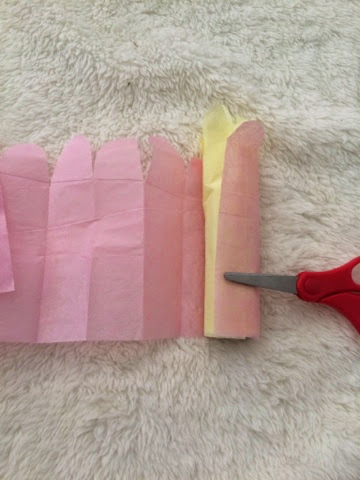 First, you wanna cut two wide stripes of two tissue papers. 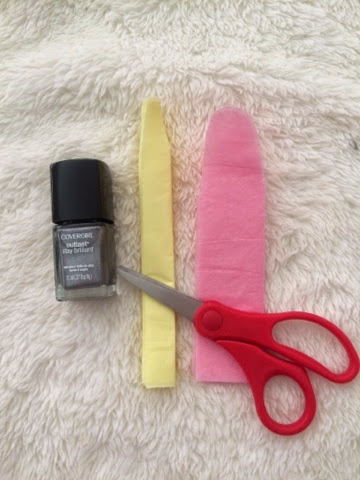 Here I'm using yellow and pink. 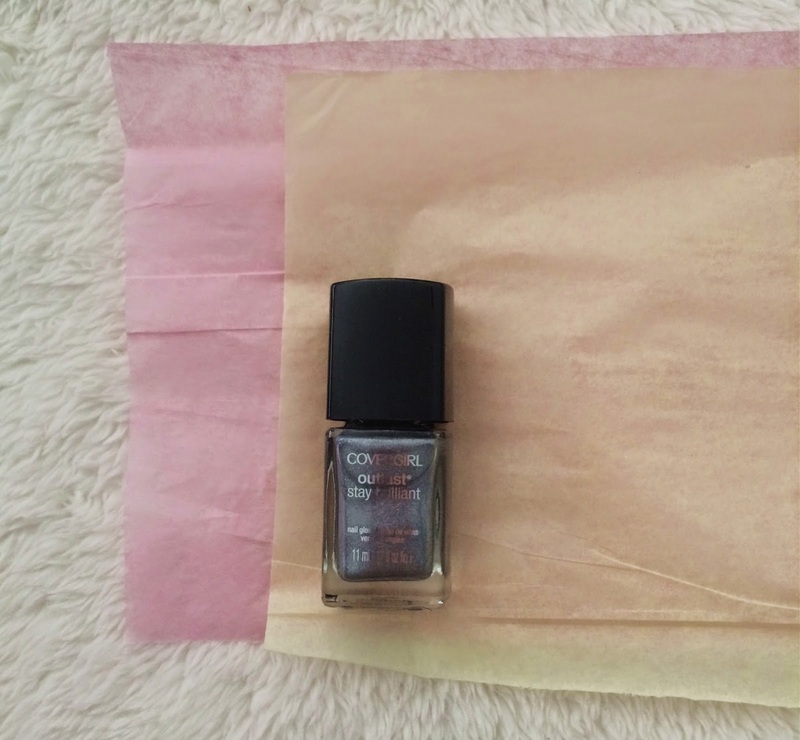 The width of the tissue paper should be slightly longer than the nail polish. 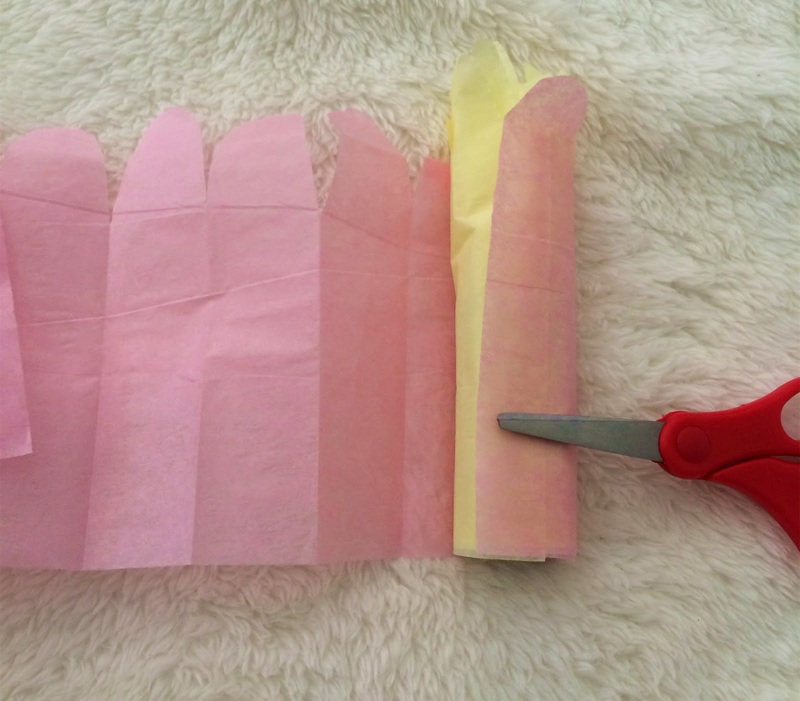 Fold the tissue papers, create a scallop by cutting a rounded edge after folding. Wrap around the nail polish. 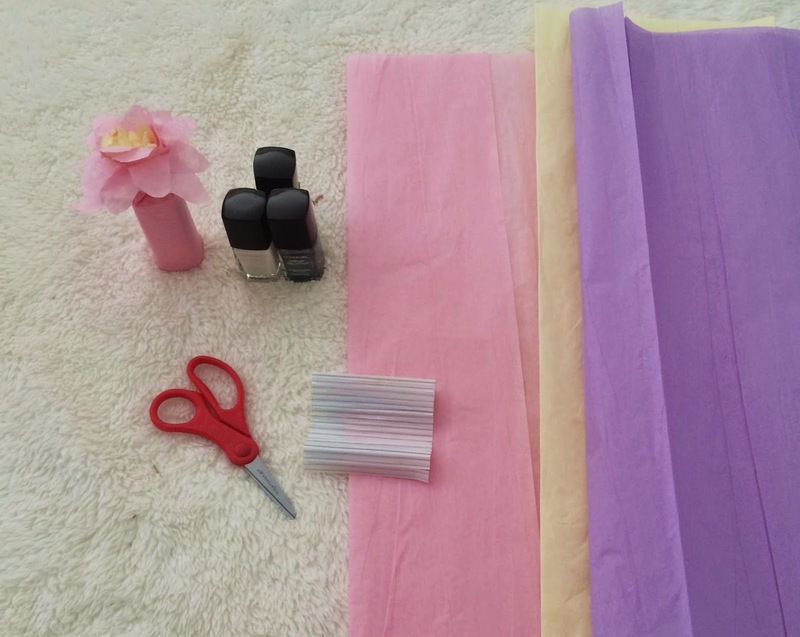 Start from the yellow tissue paper. 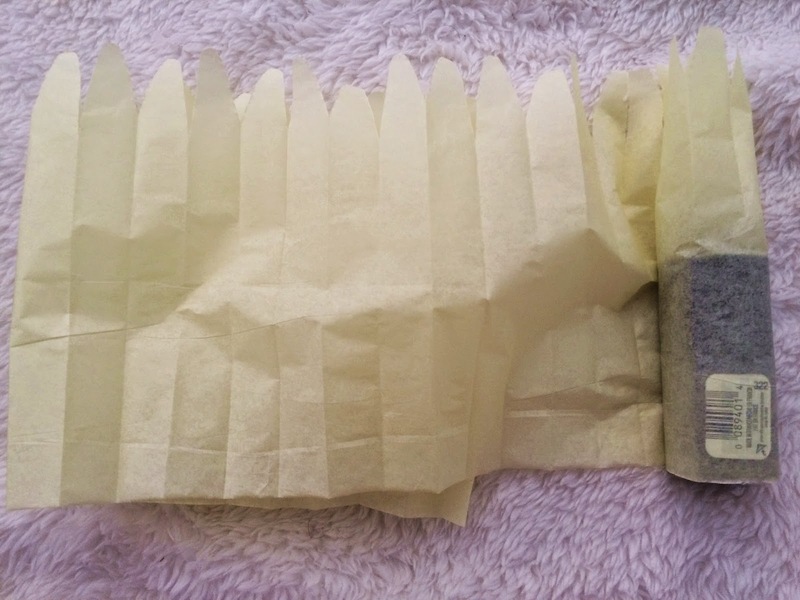 Use the twist tie to secure. 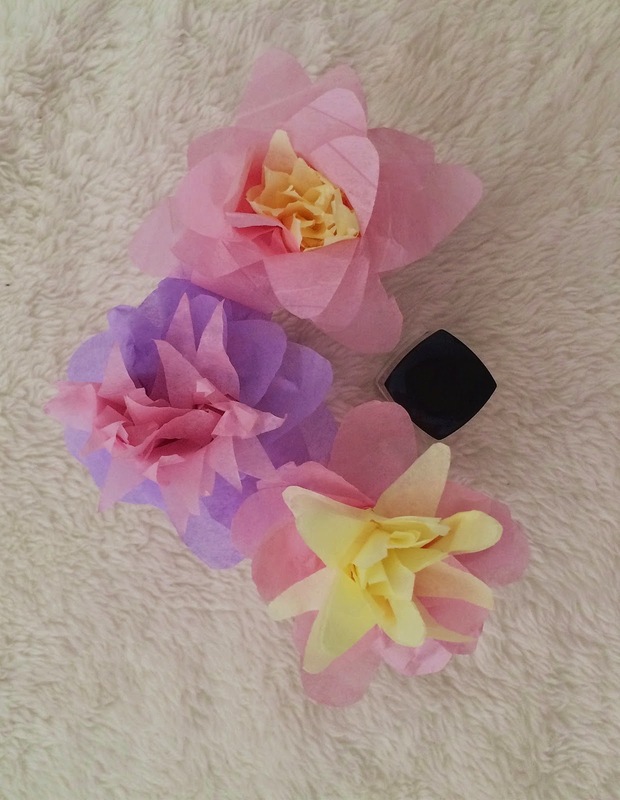 Each flower will be slightly different. 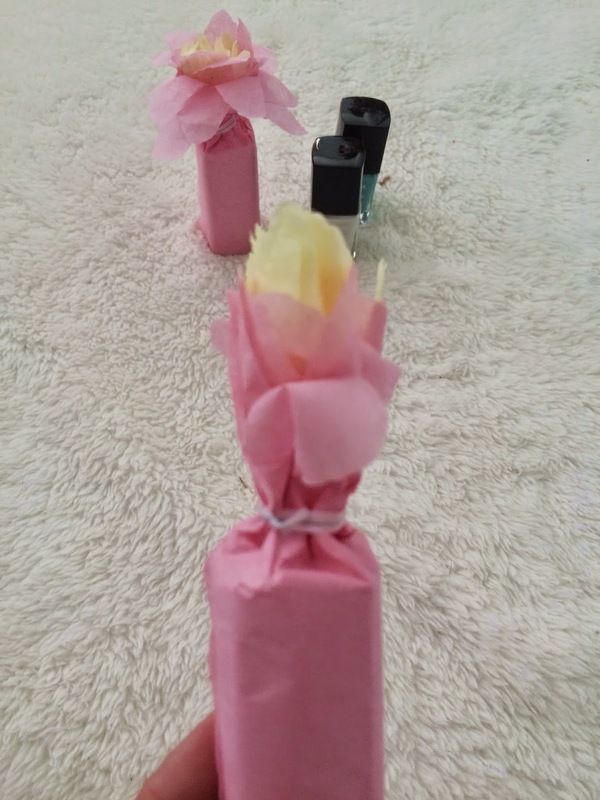 That's the fun part. 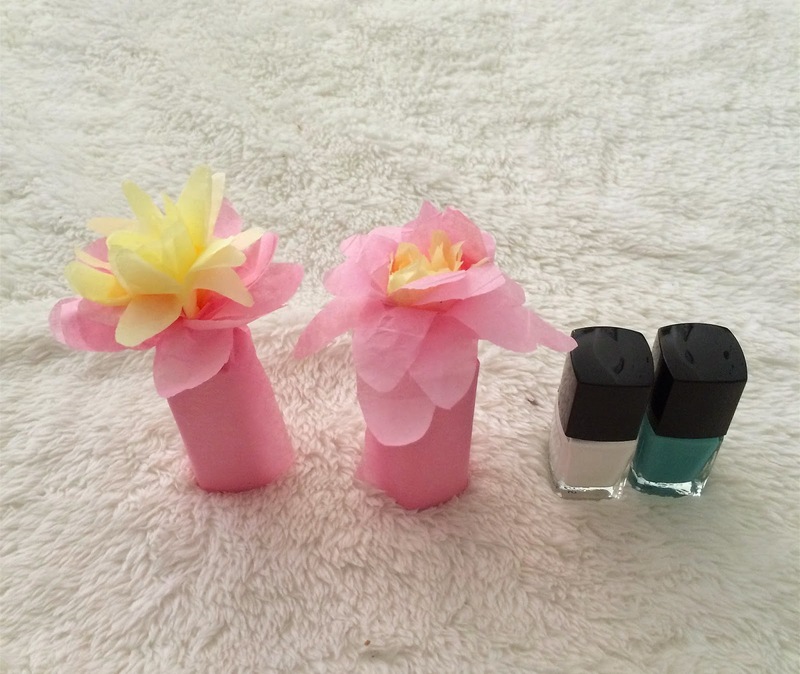 This can be used for bridal shower, birthday parties, gifts for the nail polish lovers, your vanity room decoration or even center piece for some special event.